How good is “Game of Thrones” (2011-present)? Let me put it to you this way; I binge-watched the first six seasons (ten one hour episodes per season) in less than a month. You could say that I have no life, I need to get my priorities straightened or that I am a nerd, but trust me, if you take the time to sit down and watch the first episode (“Winter is Coming” ) you will completely understand why I binge watched it. It is really hard to pinpoint what exactly makes “Game of Thrones” so unique and special because pretty much every single last aspect of this show is pitch perfect. Since I have to choose though, I would say the three things that forced “Game of Thrones” to become my new favorite show are the themes, cliffhangers and characters. It may sound weird to be so fascinated by themes in a television show, but that is what happened. The central themes of power, legacy and betrayal pour through each and every single last episode, which causes audiences to become invested in the show. These themes are the weapons of choice for many characters in this show and sometimes they cause the downfall of other characters. 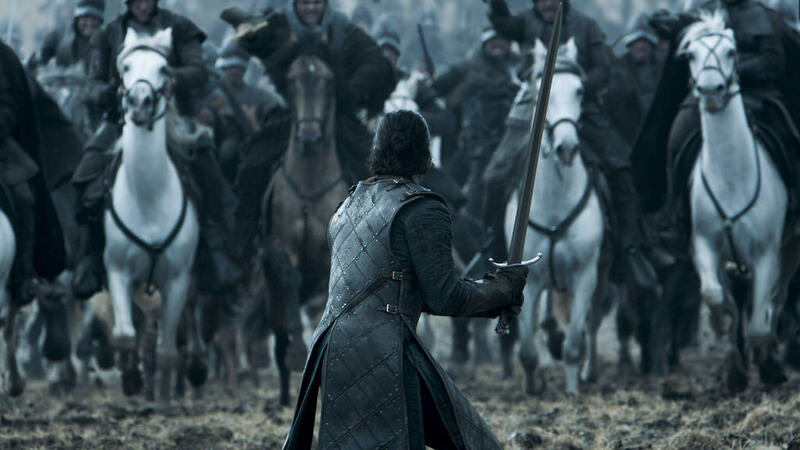 Being able to actually sit back and notice the presence of legacy, power and betrayal in “Game of Thrones” proves that the creative team behind this show have adapted George R. R. Martin’s “A Song of Ice and Fire” book series almost perfectly. Next is the cliffhangers; it is customary for television shows to end each episode on a cliffhanger to keep the suspense going, but I have yet to see a show that does this better than “Game of Thrones”. I did not binge-watch this show because I have no life or because I am a nerd; I binge-watched it because the episodes drop such intense cliffhangers on you that you have no choice but to watch the next one and the next one and the next one. I lost sleep and study time over the cliffhangers of “Game of Thrones”, but it was definitely worth it. Now we have reached the best part of this show that tops the cliffhangers as the most interesting and suspenseful part of the show; the characters. Each and every single last character is either fascinating, indescribably likeable or entertainingly evil or cruel. The main protagonists of this show (Tyrion Lannister, Daenerys Targaryen, Bran Stark, Arya Stark and Jon Snow) are the best main characters I have ever seen on a show; they are brave, compassionate, cunning and it would be an understatement to say they are likeable. Anyone who does not root for at least one of these characters while watching this show needs to seek out medical help immediately. Furthermore, if you do not feel any anger or hatred towards at least one of the antagonists (Cersei Lannister, Joffrey Baratheon, Ramsay Bolton, Walder Frey, Stannis Baratheon and Melisandre), there is also something seriously wrong with you because the actors and actresses who portray these villains infuse so much cold, dark menace into their roles that it’s impossible to not hate them.